According to the Canadian Restaurant and Foodservices Association, there are over 80,000 eateries in Canada. Magnify that to a global scale and you can just imagine how many restaurants there are across the globe – all the cafés, bistros, bars and delis that sate our palates. But one question remains: which restaurant is the best? Britain’s Restaurant Magazine felt compelled to uncover where this elusive haven resides, culminating in the now highly coveted San Pellegrino World’s 50 Best Restaurants awards. Those establishments featured on this highly regarded record are immediately thrust to the head of the culinary world’s table. Indeed, when the Danish restaurant Noma took last year’s top prize, more than 100,000 people wanted to sink their teeth into Noma’s suddenly sought-after reservation list. To cover a broad range of areas, the contest splits the world into 27 regions. A chairperson is appointed to each region and selects 30 judges comprised of chefs, restaurateurs, food critics, writers, and what Drew calls gastronomes: individuals who travel and dine at some of the most preeminent – and sometimes unknown – restaurants across the far-reaching culinary spectrum. Each of these more than 800 judges selects the seven best restaurants they’ve sampled over the last 18 months. At least three of their selections have to be outside their own regions “to ensure that there’s a proper international flavour,” explains Drew. Other than that there are no rules. Judges scour, sample and salivate for the best dining experiences they can track down from across the globe. They search high and low for the crème de la crème of eating establishments. Of course, the overall experience certainly entails the quality of the cuisine, but as Drew explains, it’s also about atmosphere, design, service and overall satisfaction. It certainly isn’t rare to have a more casual enterprise topple a more formal one due to an enjoyable setting and personable staff. Indeed, what represents the “best” for one judge may be completely different to another. After months of searching for that little taste of paradise spread out with a butter knife, the votes were casted and the grills cooled off in anticipation of the April 18th award ceremony in London, England. 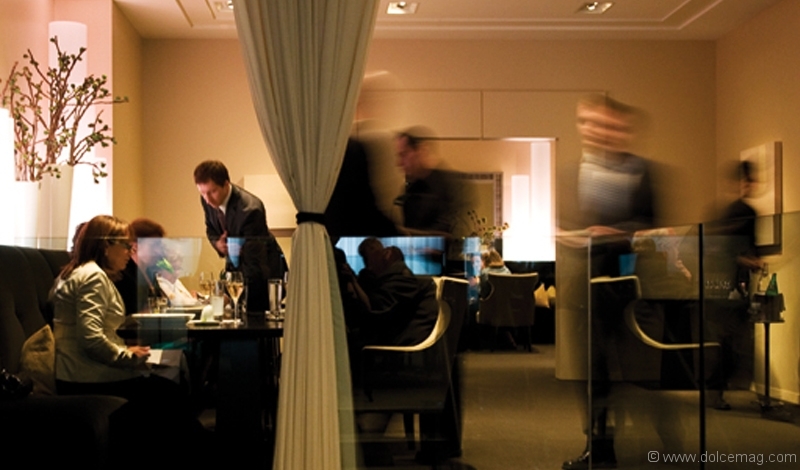 So, which restaurant dazzled and delighted the gastromatic judges of the 2011 50 Best Restaurants awards? For a second straight year, the heavyweight champion of dining was the Danish restaurant Noma. Serving a variety of Nordic gourmet cuisine, Noma’s co-owner and head chef, Rene Redzepi, combs the Scandinavian countryside and coastline in an effort to ascertain the most enchanting fare for his Copenhagen restaurant. As Drew describes, “It’s not necessarily that he’s doing extraordinary things with the food, but that he’s finding extraordinary food and doing just enough to make it delicious.” Noma also manages most of its produce preparations in-house. It salts, smokes, pickles, dries and grills all of its own ingredients, which include Icelandic skyr curd, halibut, Greenland musk ox, and when in season, local berries, vegetables, herbs, spices and wild plants. Last year, Noma knocked off previous winner El Bulli, a Spanish restaurant that held the top spot since 2006 and has been in the top three since the list’s inception. This was also Noma’s fourth year in the top 10, and it’s third in the top three. It was also the highest climber in 2007, jumping to the 15th spot from 33rd in 2006. Even though Noma is considered the “best” restaurant in the world, just making the top 50 is an incredible accolade in itself. As I mentioned before, considering how many restaurants there are in the world, being recognized as one of the world’s 50 best restaurants is nothing to push aside. In fact, much like Noma’s sudden burst of popularity in 2010, all the restaurants on this list receive a huge boost in international acclaim. “The main increase you’ll get in inquiries is from overseas, that’s the key difference,” says Drew, who goes on to explain that even though a restaurant may be the big fish in a local pond, once on this list, an ocean of food lovers starts swarming. One restaurant that will profit from its newfound fame is the British venue The Ledbury. Located in Notting Hill, London, this restaurant’s kitchen is captained by the award-winning Australian chef Brett Graham, and won this year’s Highest New Entry award after coming in at 34th. The young and enthusiastic Graham has constantly enhanced his entrees over the years, helping The Ledbury grow from a simple neighbourhood restaurant to an international destination. Its ever-growing reputation, spread mostly by word-of-mouth, has, according to Drew, seen The Ledbury develop with simply great food service and not through mass marketing and PR campaigns. A final restaurant worth mentioning is Frantzén/Lindeberg. Located in Stockholm, Sweden, this fascinating restaurant received the One to Watch award at this year’s ceremony. What makes this establishment unique? The menu depends on what stock comes in. That’s right, the chefs at Frantzén/Lindeberg cook free-form. This innovative style has drawn the attention of many industry experts, and resulted in Frantzén/Lindeberg winning the Restaurant of the Year 2011 award from White Guide, a highly regarded Swedish restaurant guide.